In the air of jubilantly celebration of 79 years of establishmet Vietnam Women’s Union Octorber 20th, Industry and Comerce Union and Construction Union organized Cooking Contest for staves. It’s honor for TrungThanh company to be promoter of both of them. 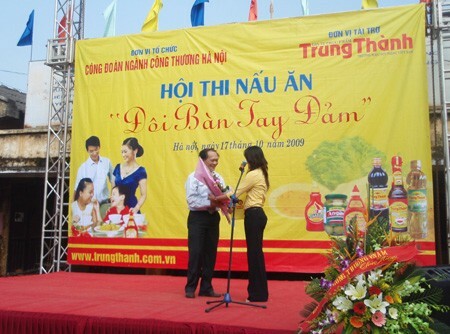 In the morning on Octorber 17th, 2009, Cooking Contest “Doi ban tay dam” (Skillful Hands) of Industry and Commerce Union was organized in Textile Minh Khai Company with particiapation of 32 teams from Trade Unions of Companies. Its special thing is each team has 3 members and at least there is a male member. It’s really an opportunity not for all women show skill throught foods, but also for men show their support. The contest is so exciting with many shows and exchange activities between the promoter and fans. Finally, the first prize belonged to the team of Viet Ha Company. Cooking contest for staves in Construction Union was held in Bach Thao Park in the morning on Octorber 20th. Although it was rain very hard in the morning, but the weather didn’t prevent every one from preparing for the contest vibrantly. 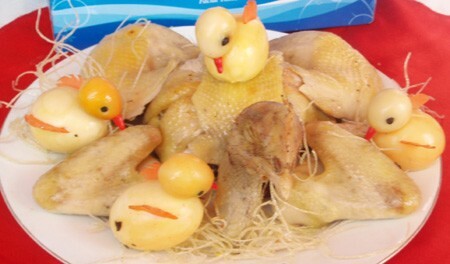 There are many delicious foods in the contest. In the end, the team of Hanoi Fresh Water Limited Company won the firstprize. 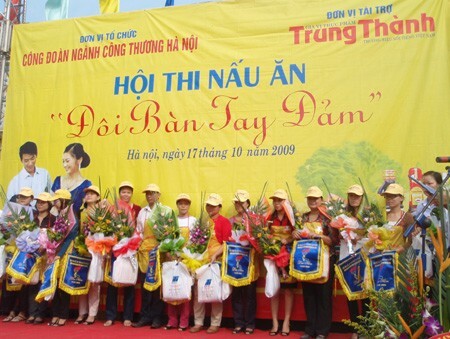 TrungThanh Company is proud of being beside with women in this occasion.